Establish a state and federal monitoring system in the mental health industry that makes all government funding to psychiatric facilities and agencies as well as treatment procedures accountable. A comprehensive questionnaire should be mandatorily required to be completed each year by such facilities and would include but is not limited to, the number of patients admitted voluntarily/involuntarily; the number of patients committed after admitting themselves voluntarily; the number of discharges for the year; the drugs that were administered to each patient and general dosage; the number of electroshock treatments given, if any; the number of deaths of inmates either in the facility or after being transferred to a general hospital; confirmation that each patient was given a copy of and was explained his rights; and full accounting of the funding provided each facility, including any external research grants from private foundations or companies. This should be a public record without breaching patient confidentiality. On admission to all psychiatric facilities, it should be mandatory to provide a full and searching medical examination to determine if any underlying physical condition is causing mental disability, thus limiting a large number of people being hospitalized unnecessarily. 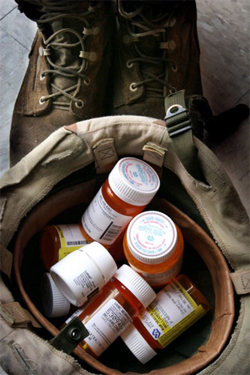 Scores of medical studies show that undiagnosed physical complaints—and even certain prescribed drugs—can cause symptoms that appear to be “mental illness.” A 1985 study of 131 randomly selected patients at the Manhattan Psychiatric Center in the United States, found that “approximately 75% of the patients reevaluated may have been wrongly diagnosed when admitted to the center” and that “frequent misdiagnosis of schizophrenia caused severe harm to many patients who were inappropriately given powerful drugs, such as neuroleptics, that mask symptoms....” Researcher Erwin Koryani's study showed that half of the people seeking psychiatric help in a clinic population had readily diagnosable physical problems which were often the sole cause of their mental symptoms. Mental Health Complaints Units, independent of government and medical agencies-similar to an Ombudsman-should be established to investigate, conciliate or to prosecute complaints of psychiatric abuse through medical boards and/or law enforcement agencies. Legislation should ensure that an autopsy and coroner's inquest be conducted into all patient deaths in psychiatric institutions and into the death of any patient that occurs shortly after being transferred from a psychiatric institution to a general medical hospital. In this way, a pattern of negligent or abusive treatment can be isolated and thus be prevented in the future. Psychiatric and psychological programs and drugs and invasive psychological testing should be prohibited from schools, colleges and universities, and schools be returned to places of educational basics and learning. No convicted mental health practitioner should be employed by government agencies, especially in correctional/prison facilities or schools. Psychiatric fraud investigation units should be established in every state of each country and their services advertised in daily newspapers. Annual reports on the amount of money defrauded and retrieved by the government should be made publicly available. A Psychiatric Living Will is the brain-child of Professor Emeritus of Psychiatry, Thomas Szasz and provides an individual with a means of self-protection. People who are “of sound mind” can sign a legally-binding declaration stating that they do not wish to be incarcerated and/or treated in any psychiatric facility or undergo any enforced psychiatric treatment should it be determined that they need this. covering the registration of psychiatrists and psychologists and disciplinary proceedings should be amended to provide for easy complaints procedures by patients, for the Boards to expeditiously carry out disciplinary procedures, and for the Boards to mandatorily refer criminal matters such as sexual abuse of patients to law enforcement agencies. Psychiatrists and psychologists should sign a Mental Health Practice Code that legally binds them to certain standards of practice before they can be employed in government-run or subsidized hospitals or be eligible for health insurance coverage. A Patients’ Rights Declaration should be provided to any consumer of mental health services which educates them on their rights that should include but are not limited to the right to refuse unwanted treatment, the right to an attorney for any legal proceeding determining deprivation of their liberty (commitment) and the right of appeal, the right to a second medical opinion of their choice, the right to be treated with dignity and the right to take criminal and civil action against any psychiatrist, psychologist or hospital staff for any physical, sexual or financial abuse, false imprisonment, assault, or violation of the mental health or other law that protects their interests. Various studies and surveys have shown that between 10 and 25 percent of psychiatrists, psychologists and psychotherapists sexually exploit people under their care. In response to this, some 15 states in the U.S. as well as Australian states, and countries such as Canada, Germany and Sweden, have passed Psychotherapists SexualAbuse laws. These provide criminal penalties for any therapist who has sexual contact with their patient, even after the patient/doctor relationship has ended; “consent” by the patient cannot be used as a “defense.” These laws need to be implemented in every country and state. 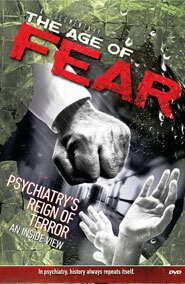 A list of convicted psychiatrists and mental health workers, especially those convicted and/or disciplined for fraud and patient sexual abuse should be kept on state, national and international data bases of law enforcement and police agencies, health departments, and medical boards, to prevent criminally convicted and/or deregistered mental health practitioners from gaining employment elsewhere in the mental health field. Given the high death rate from chemical and physical restraint procedures in psychiatric facilities, the use of such restraints should be forbidden on children and adolescents. Ideally, restraints should not be an option for usage on adults; the very minimum standard would be that chemical restraints are forbidden, and physical restraint cannot be used for punitive reasons, for violent behavior caused by psychiatric drugs or harassment from staff, for retaliation or convenience, and the use of any violent, physical force would be an act of assault. Mandatory reporting of any death arising from such procedures and independent investigative systems should be in place. Financial penalties should be implemented for any violation of these regulations, and criminal penalties for any harm or death caused to the restrained patient. Many studies now confirm that psychiatric drugs can cause violent, psychotic and manic reactions; in the U.S. alone, between 1998 and August, 1999, there were five schoolyard shootings that involved teenagers taking prescribed psychiatric drugs known to cause one or more of these reactions. In the case of violent crime, all law enforcement agencies should implement a mandatory toxicology reporting system that specifies testing for all psychiatric drugs in any homicide or violent crime. Enact state and federal laws for “whistleblowers” to safely report on abuses and corruption within the mental health care industry.